With Valkyria Chronicles 4, what’s old is new again. The tactical RPG from Sega is steeped in the rich history of its predecessors – specifically the original Valkyria Chronicles, given series producer Katsura Mikami hopes to deliver a “proper evolution that returns to [the series’] origins.” Our official review certainly thinks so, too, in which our own Cody Gravelle goes on record to say that Valkyria Chronicles 4 is perhaps the perfect entry point for this celebrated RPG series. And now, after a six-month wait following the game’s launch in Japan, PS4 owners are so close to Valkyria Chronicles 4 they can almost smell the gunpowder wafting up from the war-torn battlefields of Europa. It’s scheduled for a release on Tuesday, September 25th, so to ensure you’re fully up to speed, we’ve scoured the four corners of the Internet (and the PSLS archives!) 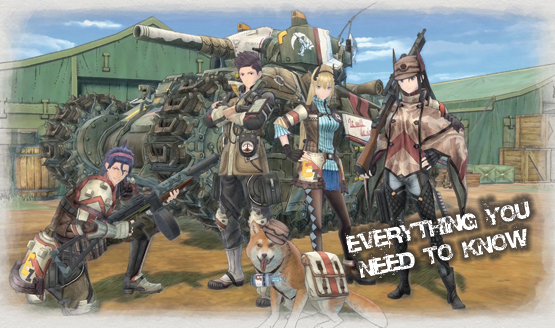 to present to you everything you need to know about the latest Valkyria Chronicles title. Valkyria Chronicles 4 stages its worldwide debut on September 25th across PS4, PC, Xbox One and the Nintendo Switch. There’s only one question left now: will you be picking up Sega’s tactical RPG the moment it drops? Or hold fire until the inevitable sale?